Which tap is best for your company? 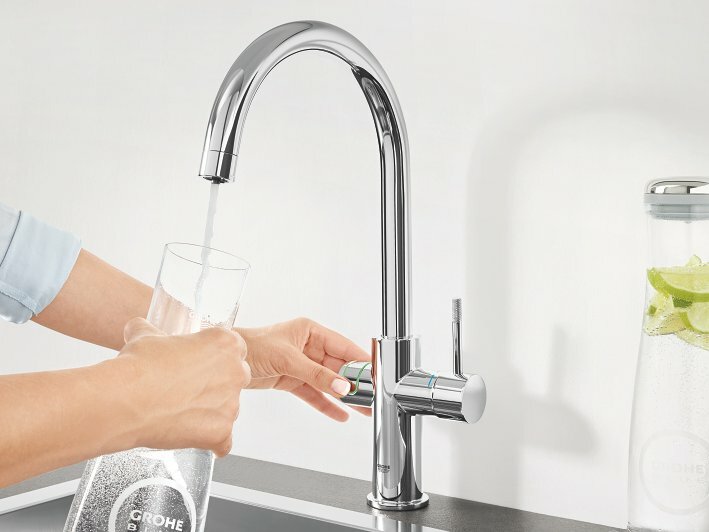 Say goodbye to bulky water bottles with GROHE Blue Professional, it turns ordinary tap water into pure refreshment. 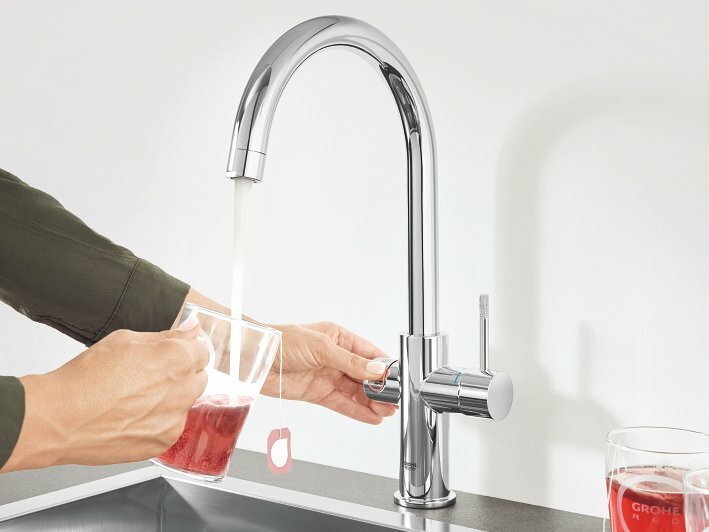 Get great-tasting still, medium sparkling or sparkling water direct from the tap Still including all the function of a standard kitchen tap, GROHE Blue Professional uses your office’s incoming water source, the filter fits neatly under the sink and removes impurities, leaving just pure, tasty drinking water. Every workplace runs on tea and coffee! With GROHE Red there is no more queuing for the kettle and less clutter in the office kitchen. GROHE Red dispenses kettle-hot water instantly from the kitchen tap, saving time and energy as you only boil the water you need. All the features of a standard tap plus great-tasting kettle hot water the moment you want it.